BUKAVU, Democratic Republic of Congo – About 12,500 smallholder farmers in the Ruzizi Plain in eastern DRC have increased production by adopting integrated soil fertility managment (ISFM) methods promoted by IFDC’s CATALIST project (now CATALIST-2). 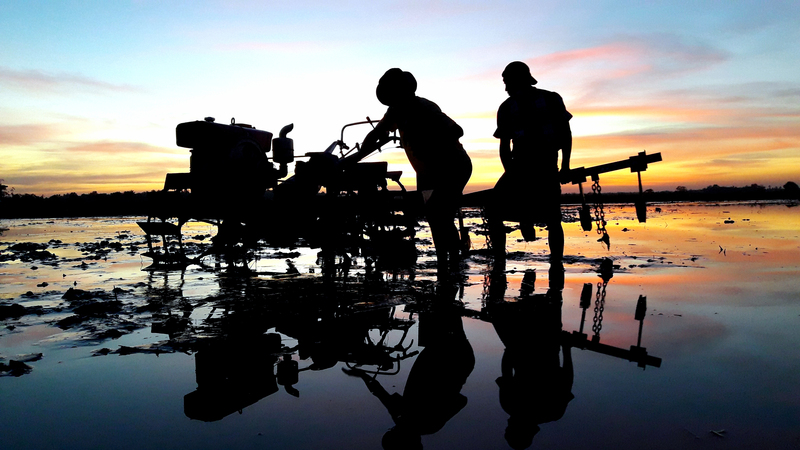 Rice farmers’ output has risen from 2.5 tons of rice per hectare to 6-8 tons. ISFM is a set of agricultural practices adapted to local conditions to maximize the efficiency of crop nutrient use and improve agricultural productivity. ISFM includes the use of mineral fertilizers, soil amendments (such as lime and phosphate rock), organic matter (crop residues, compost and green manure), improved germplasm, agroforestry and the use of crop rotation and/or intercropping with legumes to replenish lost soil nutrients. Note: The article incorrectly states that IFDC is a Dutch NGO. IFDC is a public international organization established in 1974.